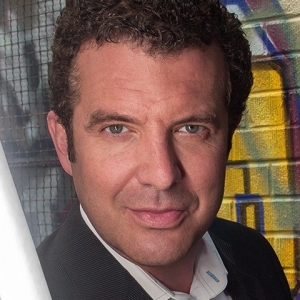 Rick Mercer began his career in comedy performing and writing with a series of one-man stage shows, beginning with Show Me the Button, which debuted at the National Arts Centre in 1990 and went on to tour the country. Subsequent stage performances were in I’ve Killed Before, I’ll Kill Again (1992) and Canada: A Good Place to Hide (1995). Mercer launched his television career in 1993 as one of the creators, performers, and writers on the hit topical weekly show This Hour Has 22 Minutes. In 1998 he joined Gerald Lunz and Michael Donovan to create the satirical dramatic series Made In Canada, where he again starred and contributed as a writer. In 2001 his CBC Television special Talking To Americans became the highest rated Canadian comedy special of all time with 2.7 million viewers. The New York Times, Wall Street Journal, Le Monde, and the Los Angeles Times all ran articles about the impact of Talking to Americans and Mercer went on to discuss it on ABC’s Nightline and NBC’s The Today Show. A recipient of well over 25 Gemini Awards for television writing and performance, Mercer was given the Sir Peter Ustinov Award at the Banff Television Festival, named Journalist of the Year at the Atlantic Journalism Awards, Artists of the Year from the Newfoundland and Labrador Arts Council, and has received a number of Canadian Comedy Awards. He is the sole civilian recipient of the Canadian Armed Forces Commander Land Forces, Command Commendation in recognition of his support of Canadian peacekeepers, and in 2004 he received the National Arts Centre Award at the Governor General’s Performing Arts Awards. Mercer went to Afghanistan in the fall of 2003 to entertain the troops and tape Rick Mercer’s Christmas in Kabul a special for CBC Television. He has returned twice to Afghanistan to visit the Canadian Forces. As a solo performer he has hosted the East Coast Music Awards, The Gemini Awards, Juno Awards, the history series It Seems Like Yesterday, the annual Canada Day show from Parliament Hill, and in 2008 he hosted the CBC Television special The Next Great Prime Minister for the second time. Mercer has written for Time, Maclean’s, The Globe and Mail, and the National Post. His first book, Streeters, hit the top of the Globe and Mail’s best-seller list, and his second book, Rick Mercer Report: The Book, published in the fall of 2007, also went to the top of the national best-seller list. Rick latest book is A Nation Worth Ranting About that was published in September 2012 and became another best-seller. He has appeared in the movies The Vacant Lot, Understanding Bliss, Secret Nation, and Bon Cop, Bad Cop and is in the upcoming The Young and Prodigious Spivet with Helena Bonham Carter and Judy Davis. In 2006 Rick and Belinda Stronach founded the charity Spread the Net, which raises funds to stop the spread of malaria by providing mosquito nets for African children. Each season, the finale of The Rick Mercer Report is the Spread the Net Student Challenge which has raised now over one million dollars. Other charities he has been active with include Hope Air, PFLAG, and Toronto’s Casey House, a hospital for people living with HIV/AIDS. In 2012 Rick was given ACTRA Toronto’s 2012 Award of Excellence and the King Clancy Award from the Canadian Foundation for Physically Disabled Persons. He also received a Diamond Jubilee Medal in celebration of the Queen’s sixty years on the throne. In October 2013 he is slated to receive the prestigious Woodrow Wilson Center Award for Public Service. He is on the board of Historica Canada, an organization dedicated to promoting the study of Canadian history, identity and citizenship. Rick holds Honorary Doctorates from Memorial University, Laurentian University, University of British Columbia, McMaster University, Bishop’s University, Brock University and in 2012 received an Honorary Doctorate from the University of Guelph. Rick Mercer is a native of St. John’s, Nfld.